I love salad Swallow's Nest, so decided to share. It is simply prepared but taste of dish is inexpressible. 1. Cut all in strips. 3. Dress with mayonnaise, stir. 4. Spread on a plate, decorate with quail eggs, sprinkle with nuts on a fine grater. Bon Appetite! 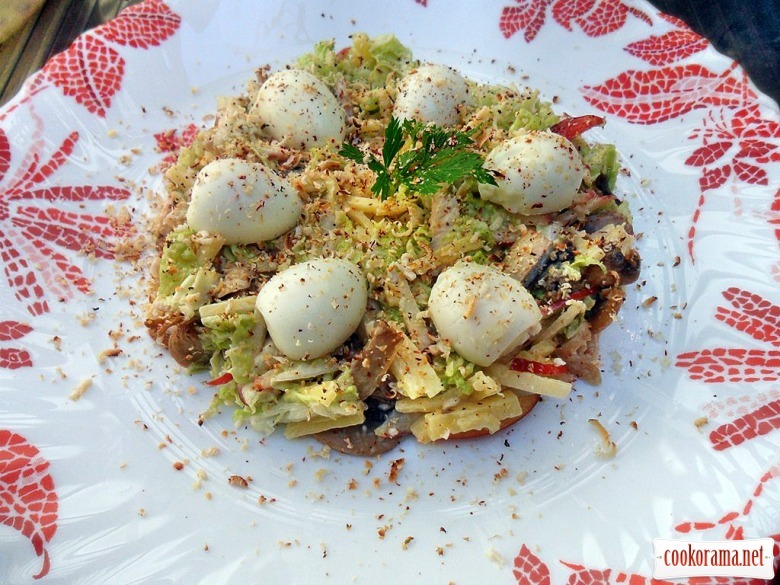 I hope you like recipe of salad Swallow's Nest. Top of recipe "Salad "Swallow's Nest""
Recipes, Meat salads, Salad "Swallow's Nest"